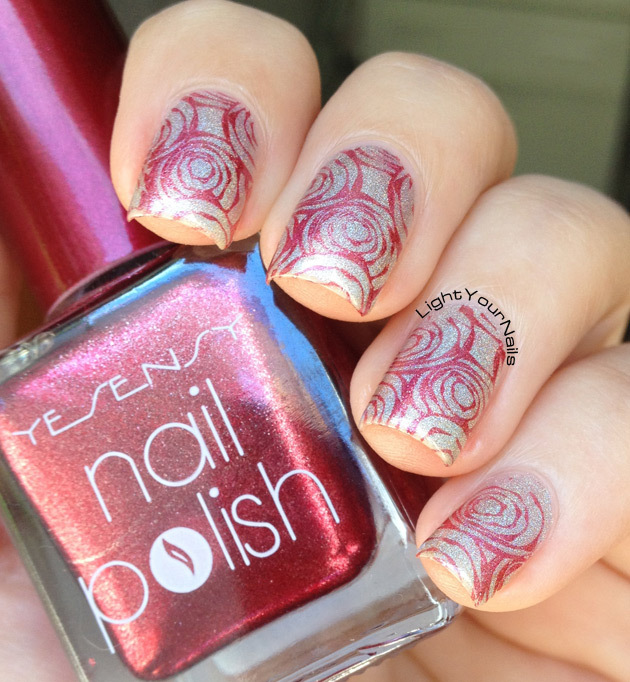 Holographic red roses stamping with BP-73 plate | Light Your Nails! It's been some time since I've last stamped on my nails. And because I've just received a few new plates from BornPrettyStore I thought it was time to stamp again! I started with plate BP-73, my favourite of the ones I've just got. As you know I love flowery patterns and this plate is full with them! My base is Jade Psicodelica and I've used a metallic red polish by Yesensy that I've bought especially for stamping purposes. Era da un po’ che non stampavo, e dato che ho appena ricevuto alcune nuove plate da BornPrettyStore ho pensato di approfittarne! Ho deciso di cominciare con la plate BP-73, la mia preferita tra quelle che ho ricevuto. Come sapete adoro i disegni floreali e questa plate ne è piena! La mia base è Jade Psicodelica e ho usato un metallico rosso di Yesensy che ho preso appositamente per stampare. In the last photo you can have a better view on the pattern, and you can also notice how light Jade Psicodelica is for being a silver. Below you see the plate which is BP-73 from BornPrettyStore as I've already mentioned. It's full of flowers' pattern which are my favourite for stamping, together with leaves designs! As usual BornPretty didn't let me down. 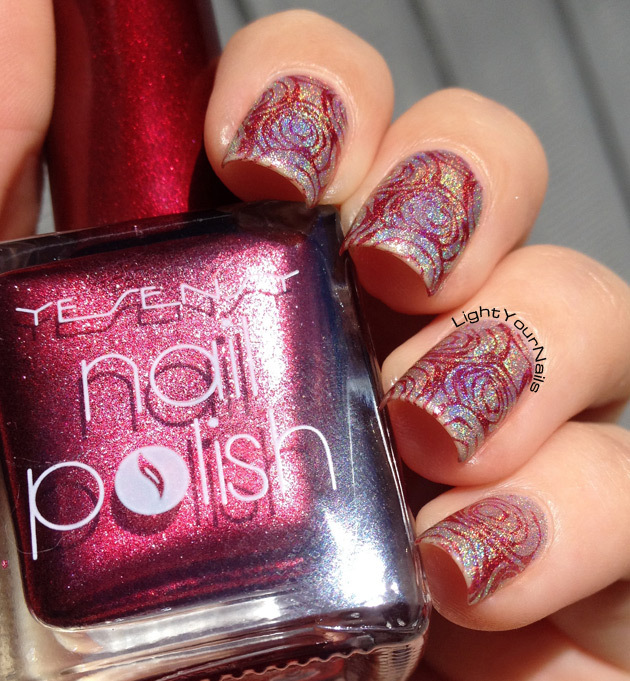 This plate works great and the polish picks up well on the stamper and transfers perfectly onto the nails. Plus I haven't used a stamping polish! I mean, metallics usually work great for that, but they aren't created for that purpose. Sotto invece c'è la plate che ho usato, che come dicevo sopra è la BP-73 di BornPrettyStore. E' piena di disegni floreali, i miei preferiti quando si tratta di stampare (fiori e foglie insomma!). Come al solito BornPretty non mi delude, la plate funziona benissimo e i disegni si trasferiscono perfettamente sia allo stamper che all'unghia. E come avete visto non ho nemmeno usato uno smalto creato appositamente per questo uso, anche se i metallici normalmente funzionano bene per questo scopo. It's up to you now! 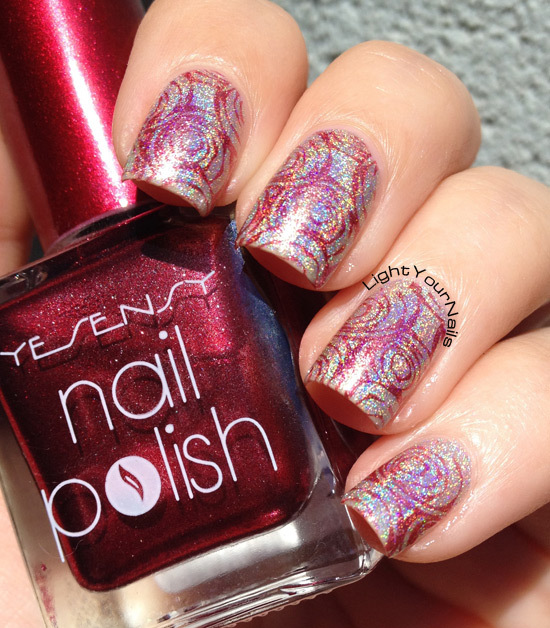 Do you like today's stamping? I love it! Jade Psicodelica is beautiful ! Thank you! It just takes practice and the stamper that works good for you! Mine is the squishy silicone one, I think we've already talked about that haha?! Grazie! Secondo me i pattern di questa plate son tutti belli, veramente! stamping su holo promosso a pieni voti! BM plates are so nice, and this design is very classy :). These are so pretty!! 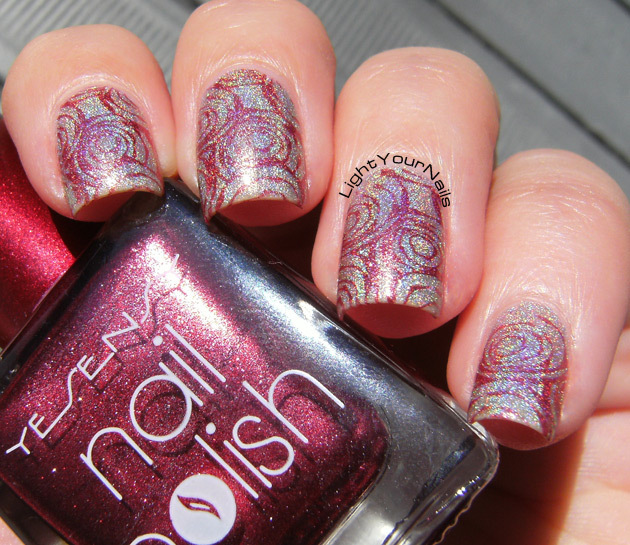 The polishes work so well together! Silver and red is such a classic combo, isn't it? Thank you Shelby! I am really enjoying this plate! Grazie per la foto all'ombra, Psicodelica è talmente poderoso che mi stavo perdendo la bellezza del patter!! I'd love to get my hands on that plate, I'm a huge fan of floral patterns. Thank you! Pretty sure you'll love it as much as I did! Love this! And Im going to have to pick up that plate, flower manicures are my favorite. It would be a great buy!